Alexandria, VA - George Washington&apos;s Mount Vernon, the nation&apos;s most visited historic estate, has joined Thomas Jefferson&apos;s Monticello and James Madison&apos;s Montpelier to expand the "Presidents Passport," Virginia&apos;s premier presidential trail. These estates, conveniently located near beautifully-preserved and highly-walkable historic downtowns of Alexandria and Charlottesville, create a getaway complete with all the elements cultural travelers desire, with award-winning dining, shopping and accommodations plus a picturesque waterfront. The "Presidents Passport" program provides visitors with insider information and exclusive savings to more than 50 of the area&apos;s top restaurants and attractions, encouraging visitors to experience these bustling towns that George Washington, Thomas Jefferson and James Madison once called home. As an added bonus to this year&apos;s program, visitors to the Alexandria Visitors Center at 221 King St. showing or purchasing a ticket to any of the three presidential estates will, upon request, receive for free Alexandria&apos;s "Key to the City" pass, which grants access into nine historic sites and museums in Alexandria - a $26 added value. To celebrate the expansion, the Charlottesville Albemarle Convention & Visitors Bureau (CACVB) and Visit Alexandria, plus all three historical sites will hold a sweepstakes beginning Presidents Day (February 17, 2014), featuring a five-day getaway exploring historic Charlottesville, Orange and Alexandria. Winners will also enjoy admission into George Washington&apos;s Mount Vernon, Monticello and Montpelier. The sweepstakes grand prize drawing will be held on March 17, 2014. Registration for the Presidents Passport and sweepstakes is free, and all "passport holders" are automatically entered to win. The "Presidents Passport" program is supported by a marketing partnership between the Visit Alexandria, CACVB, Mount Vernon, Monticello and Montpelier, promoting travel between each historic city and featured site. Launched in 2012, it is made possible by a generous grant from the Virginia Tourism Corporation. By signing up for the Presidents Passport program, visitors can take advantage of a variety of deals and discounts. Learn more at PresPassport.Monticello.org. Thomas Jefferson Foundation was incorporated in 1923 to preserve Monticello, the home of Thomas Jefferson, in Charlottesville, Virginia. Today the Foundation seeks to engage a global audience in a dialogue with Jefferson&apos;s ideas. Monticello is now recognized as a National Historic Landmark and a United Nations World Heritage Site. As a private, nonprofit organization, the Foundation is not supported by federal or state budgets to fund its twofold mission of preservation and education. About 450,000 people visit Monticello each year. For information, visit Monticello.org. Montpelier is the lifelong home of James Madison, Father of the Constitution, Architect of the Bill of Rights, and fourth President of the United States. Montpelier is administered by The Montpelier Foundation, which seeks to inspire continuing public engagement with American constitutional self-government by bringing to life the home and contributions of James and Dolley Madison. The historic home and grounds are open to visitors and student groups throughout the year, and through the Robert H. Smith Center for the Constitution, Montpelier provides world-class residential and online educational programs. Montpelier is a National Trust Historic Site. To learn more, visit www.montpelier.org or contact cgodfrey@montpelier.org. Since 1860, more than 80 million visitors have made George Washington&apos;s Mount Vernon Estate & Gardens the most popular historic home in America. Through thought-provoking tours, entertaining events and stimulating educational programs on the Estate and in classrooms across the nation, Mount Vernon strives to preserve George Washington&apos;s place in history as "First in War, First in Peace, and First in the Hearts of His Countrymen." Mount Vernon is owned and operated by the Mount Vernon Ladies&apos; Association, America&apos;s oldest national preservation organization, founded in 1853. A picturesque drive to the southern end of the scenic George Washington Memorial Parkway, Mount Vernon is located just 16 miles from the nation&apos;s capital. Mountvernon.org. Visit Alexandria is a private nonprofit membership organization whose mission is to generate tourism and conventions that increase revenues and promote the City of Alexandria, Virginia and its assets. Tourism contributes both to the economic health of the city and quality of life for its residents. VisitAlexandriaVA.com. Nestled amid the foothills of the magnificent Blue Ridge Mountains and about a hundred miles South of Washington, D.C., the greater Charlottesville region offers visitors a thriving community and vanguard of arts and culture that&apos;s both boldly innovative and grounded in rich tradition. Just beyond city lines, quiet rolling hills and family farms complement city life within Albemarle County&apos;s more than 700 square miles of vibrant natural beauty, including Shenandoah National Park&apos;s Skyline Drive. A top destination for foodies, our area features talented chef-owners who can go plate-to-plate with any major American city, blending traditional fare and regional favorites with flavors and influences from around the globe. Charlottesville is also an enclave of academia as home to the University of Virginia. Its most famous attractions include Thomas Jefferson&apos;s Monticello, James Monroe&apos;s Ash Lawn-Highland and, a short drive away, James Madison&apos;s Montpelier. Its historical Downtown Mall features an array of unique restaurants, shops, and art galleries. In addition to providing a wealth of information on the area to individual visitors, the CACVB assists tour operators, meeting planners, reunions and other groups to find attractions, restaurants, hotels and other visitor related businesses. 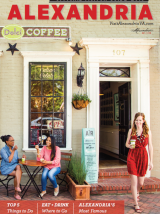 Its mission is "to enhance the economic prosperity of City and County by promoting, selling and marketing the City of Charlottesville and County of Albemarle, as a destination, in pursuit of the meetings and tourism markets."